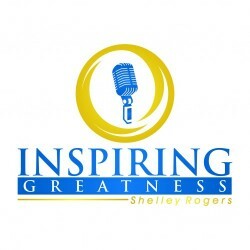 Welcome to Inspiring Greatness where we interview incredible Entrepreneurs with inspiring stories. Regardless of whether you are an experienced Entrepreneur or thinking of starting a business, everyone loves to hear about what an entrepreneur endures and how they have overcome numerous obstacles to achieve their own success. This podcast series will share their stories to inspire you! This episode will give you a little bit of information about the podcast and what you can expect for the future as well as tell you about me, your host (Shelley Rogers). I’ll be interviewing amazing Entrepreneurs each week, and then on Fridays I’ll be summarizing the best take away tips and lessons from the week with the Golden Nugget Round, getting you inspired for the weekend. I’ve embarked on a journey of growth and reconnected to my purpose in life by inspiring personal greatness with my newest venture Maxum Corporation. Reflecting on two decades as an entrepreneur, I realize time is limited. Maximize every day, make decisions as if you only have a limited time to be great!